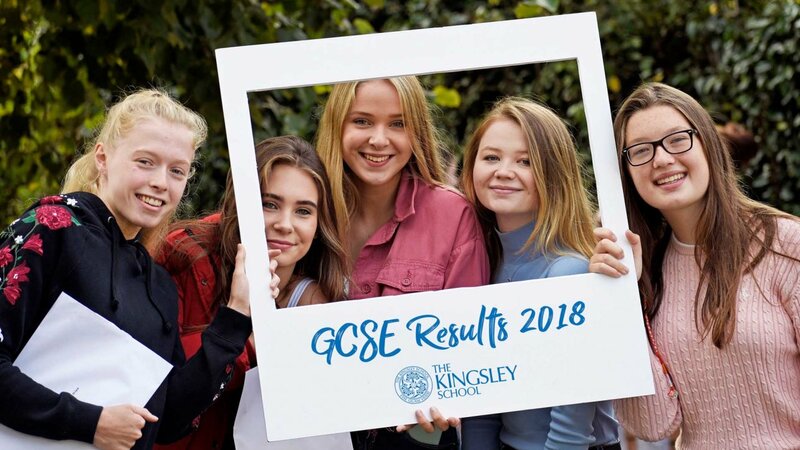 The Kingsley community is celebrating superb results in this year’s GCSE examinations, following on from a fantastic set of A-level results. Over a third of students achieved 5 or more 7-9 (A-A* equivalent) grades, with 23% achieving level 8 and 9 grades, and 11% achieving the highly coveted level 9 grade, five times the national average set last year. Nearly 100% scored A*-C grades, and 100% of students achieved 5 grades level 9 – 4 (A*- C equivalent). Many girls far exceeded grade predictions based on their performance on entry to the school, demonstrating the excellent progress made by girls who have the benefit of the personalised teaching and support a small school can offer. Several girls exceeded predictions by more than 10 grades and one of the highest attainers in fact by 23 grades, at least 2 grades per subject. Olivia Griffiths, from Stratford-upon-Avon, who was awarded 6 level 9s, 2 level 8s and 2 level 7s. Molly Maher, from Stratford-upon-Avon, who was awarded 3 level 9s, 1 level 8, and 2 level 7s. Annie Harper Radley, from Leamington Spa, who was awarded 2 level 9s and 4 level 8s. Rebecca Winn, from Warwick, who has been juggling school work with an intensive national swimming training schedule, was awarded 2 level 9s and 3 level 8s, including maths and science. Helen Lavery, from Stratford-upon-Avon, who was awarded 1 level 9, 5 level 8s and 4 level 7s. Lily Constance, from Leamington Spa, who was awarded 6 levels 7 – 9. Jenna Morgan, from Wellesbourne, who was awarded 6 levels 7 – 9.